Earlier this year, a state appellate court issued an opinion in a California car accident case discussing the sudden emergency doctrine. 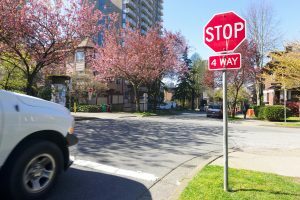 Ultimately, the court concluded that the defendant driver was not liable for the plaintiff’s injuries because her actions that led to the collision were in response to a sudden emergency. According to the court’s opinion, the plaintiff was in a line of cars that were entering Highway 101. As the vehicles approached the end of the onramp, one of the cars entered the highway and sped past the rest of the line, making an obscene gesture to the motorist at the front of the line. Shortly after this, the car that had just passed the other cars slammed on the brakes, causing the other vehicles in the line to slow down. If you injure someone while engaging in your normal job duties, your employer may be able to be held liable for those injuries. 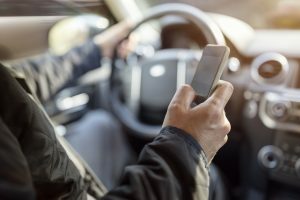 This is called “vicarious liability.” The problem is that if you are sometimes required to use your personal vehicle for work and there is an accident, it may not be clear whether there should be vicarious liability or not. 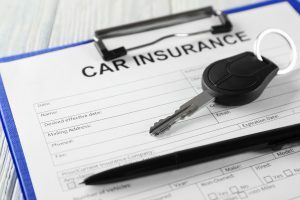 This case clarifies when an employer can be held liable through vicarious liability when an employee injures someone while driving their personal vehicle. If you are injured in an accident, it’s important to contact a skilled Southern California personal injury attorney as soon as possible. They can help you to figure out who should be held responsible for your injuries, and make sure that all potentially liable parties are, in fact, held responsible. In this case, the driver and owner of the vehicle was an attorney who worked for the County of Los Angeles. As part of his job he would often need to use his personal vehicle to visit clients in jail, go to different courthouses where clients were being tried, and visit crime scenes or meet witnesses. It would have been impossible for him to do his job without using his car relatively frequently. The attorney was eligible to be paid mileage by his employer when he used his car for these purposes. A teenage driver was intoxicated when he was involved in a hit and run accident with a woman and her daughter. The woman’s husband was driving nearby and witnessed the collision. The family filed a personal injury lawsuit against the driver and his employer, Sergio’s El Ranchito (a restaurant). The court granted the defendants’ motion for summary judgment, and the California Court of Appeal for the Fourth District affirmed the judgment in this California car accident case.On appeal, the family did not challenge the court’s legal analysis of the issues. Instead, they maintained that the court should reverse the judgment because the ruling was based on procedural defects. Namely, the restaurant’s moving papers did not specifically address the negligent supervision allegations and therefore did not properly shift the burden of proof to the family. Additionally, they contended the restaurant’s efforts to address negligent supervision for the first time in its reply brief were improper, and the trial court should not have considered this argument when deciding the motion for summary judgment. The appeals court concluded that neither contention had merit. The complaint alleged the restaurant negligently supervised its underage employees because the driver either had access to, or was directly provided, alcoholic beverages on the premises. Thus, the family’s theory for recovery was that the restaurant should have known their unsupervised underage employees were going to drink while at work, and therefore it was foreseeable they would drive while intoxicated and injure a third party. To prove this claim, the family needed proof the restaurant was aware the underage employees had access to, or were provided, alcohol during work hours, and it failed to adequately supervise these underage employees by locking up the alcohol. The appeals court concluded that the restaurant’s moving papers adequately addressed the negligent supervision allegation raised in the complaint. The restaurant satisfied its initial burden by showing the family’s discovery responses were inadequate to prove negligent supervision. Although the restaurant did not use the words “negligent supervision” in the moving papers, it did discuss the total lack of evidence supporting all allegations in the complaint. It argued there was no evidence suggesting liability under any direct theory of liability or vicarious liability. The separate statement of undisputed facts noted there was no evidence the driver became intoxicated while at work or after his shift. In addition, the separate statement explained why there was nothing to support the allegation the driver was coming from work when he was driving while intoxicated. The restaurant affirmatively established it had policies and procedures in place to prevent employees from consuming alcohol while at work. Absent evidence to the contrary, it could be inferred the restaurant did not know or expect the driver or other employees were violating the terms of their employment. A woman and her daughter were in two automobile accidents. One defendant rear-ended them in the first. In the second, another defendant broadsided them while they were driving together two months later. The plaintiffs sued both defendants, and by the time of trial, both defendants had admitted the accidents were their fault; the defendants, however, disputed the accidents caused the full range of injuries the plaintiffs claimed to have suffered.The trial court barred the plaintiffs’ neuropsychologist expert witness from opining the traumatic brain injury allegedly suffered by the mother was caused by the accidents because the plaintiffs did not give adequate notice the expert would offer such an opinion and because the expert was in any event incompetent to offer such an opinion. Concluding there was no other substantial evidence that either accident was the cause of her asserted traumatic brain injury and lower back injury, the court later granted the defendants’ motions seeking nonsuit as to those injuries. 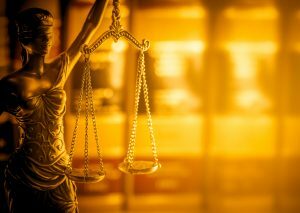 The appeals court was asked to decide whether the trial court abused its discretion in excluding the plaintiffs’ expert testimony, and whether the trial court properly granted the defendants’ nonsuit motions. For the following reasons, the appeals court affirmed the lower court’s decision. The appeals court first held that the plaintiffs’ failure to designate the expert to testify on causation was a sufficient ground to exclude his testimony on that topic. The plaintiffs contended the “plain language” of their expert witness declaration gave sufficient notice that he would testify as to the cause of the victim’s alleged traumatic brain injury. Specifically, the plaintiffs quoted language from their expert witness declaration stating that the expert “will express opinions concerning the nature and extent of [the victim’s] injuries sustained in the subject accidents.” That language, the appeals court held, did not suffice to comply with the requirements of the Code of Civil Procedure’s expert disclosure statutes. The terms “nature” and “extent” refer to the type of an injury or its characteristics, as well as perhaps its severity. That, the court explained, is distinct from the concept of causation. The expert witness designations the plaintiffs served for their other expert witnesses, the court continued, only served to confirm the point, i.e., that “nature and extent” is not a phrase that should be read to include the concept of causation. For seven of their other retained experts, the plaintiffs’ expert witness designations expressly advised that the witnesses would provide opinions “concerning causation,” among other topics. In addition, among the experts the plaintiffs disclosed—but did not call to testify at trial—was a witness with expertise in biomechanics and “human factors in accident causation,” who would be able to describe the “mechanism for injuries” to the plaintiffs and “the potential and likelihood of injuries and symptoms claimed by plaintiffs as a result of the impacts and forces involved in the auto vs. auto accidents.” These other expert witness designations revealed the plaintiffs were unmistakably explicit when providing notice that a witness would potentially offer an opinion on the cause of their claimed injuries. No similar language was included in this expert’s designation, which evinced an apparently knowing lack of compliance with the Code of Civil Procedure’s expert designation rules and highlighted the unfairness to the defendants if the jury were nevertheless permitted to consider opinion testimony from the expert on causation.